“I am a great reader of travelogues, enjoy a lot of biographies and am always willing to read an historical investigation. This book managed to tick all those boxes as well as those of personal odyssey and quickly love story so I was fairly certain I was onto a winner … The book weaves Thomas’s own descriptions and journals with jenny’s own writing so much so that it is almost co-authored. Thomas is rescued from obscurity and given back his voice in a way which is frequently quite moving. Life in India at the time of the Raj is re-created, as is the atmosphere of a Victorian vicarage and the ghosts of an abandoned mansion. 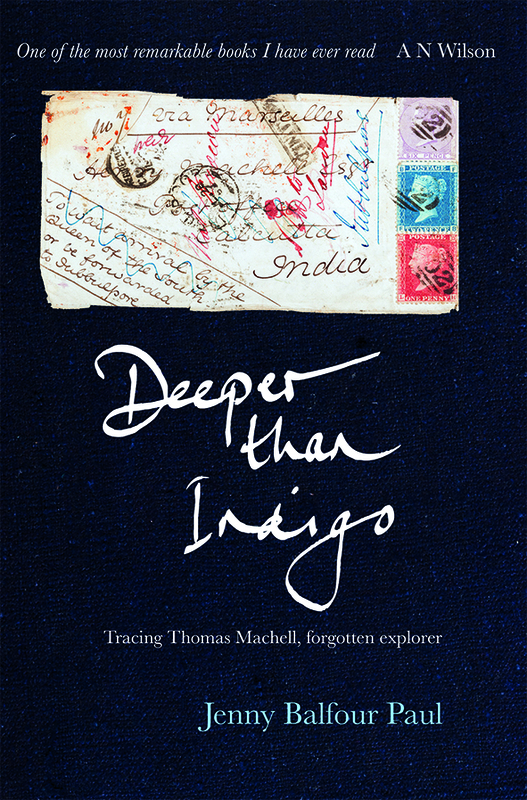 The ‘exotic’ Deeper than Indigo selected by novelist Patrick Gale as one of The Best Summer Reads. The intriguing Indigo story. 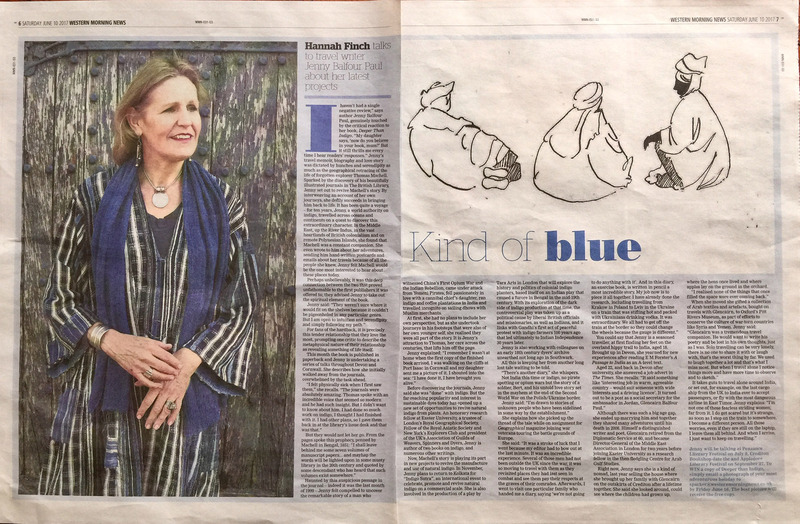 Jenny Balfour-Paul on the history of the natural blue dye, and how her story interweaves with that of adventurer Thomas Machell.